Ida Plaskett was a sweet old lady who came across as prim and proper, but who really was a kind and accepting soul. She accepted the poem in its humourous intent and gave me a good mark. So I didn’t have to kill her. Upon her retirement, I gave her a copy of Beowulf and on the inside cover wrote for her an embarrassingly pretentious sonnet. We stayed in touch over the years. I sent her copies of my first book and told her she should take some credit for my literary achievements. I saw her once for lunch after her husband had died. That was many years ago. 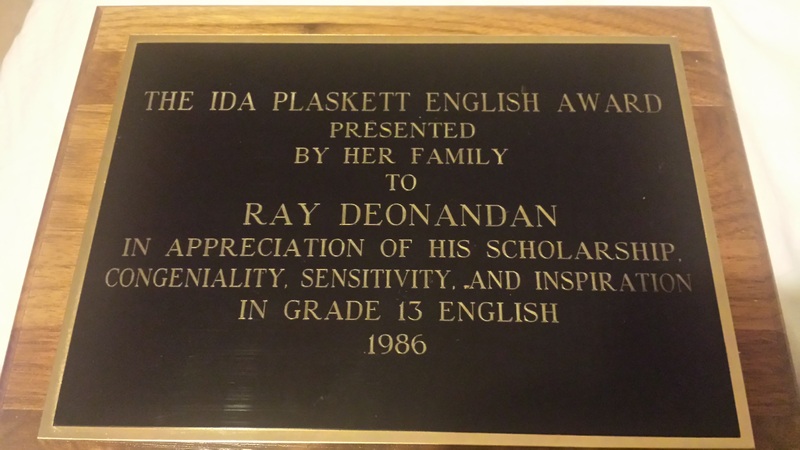 Today I received news of the passing of Ida Plaskett. She lived a long, full life of 88 years, so it’s not a tragic death. But the sad part is learning that she outlived her husband and her two sons. Such a sweet and generous woman deserved a better outcome, I think.